My pregnancy with the twins was relatively uncomplicated. We managed to avoid some high-risk hassles like gestational diabetes, bed rest, preterm labor, etc. I experienced (double?) 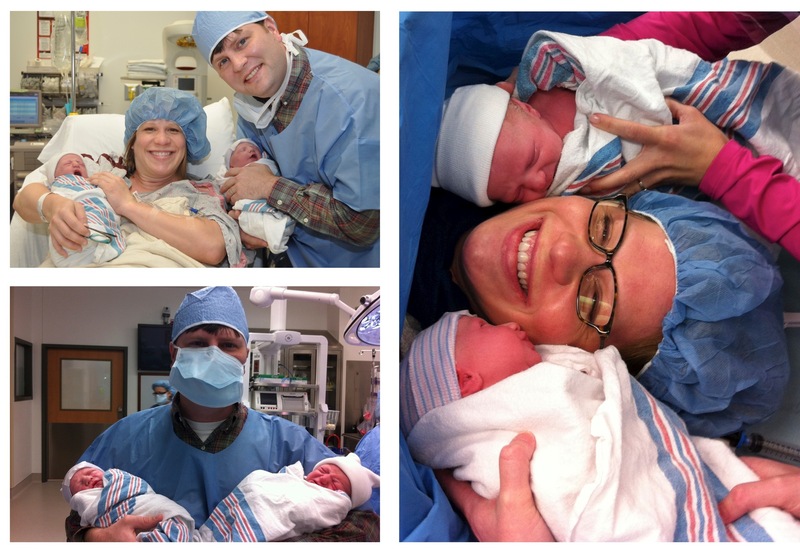 my share of unpleasant pregnancy symptoms, but the twins were perfectly content and healthy throughout the pregnancy. They seemed in no rush to join the rest of us. At 37.5 weeks it was time to intervene and introduce them to the world. 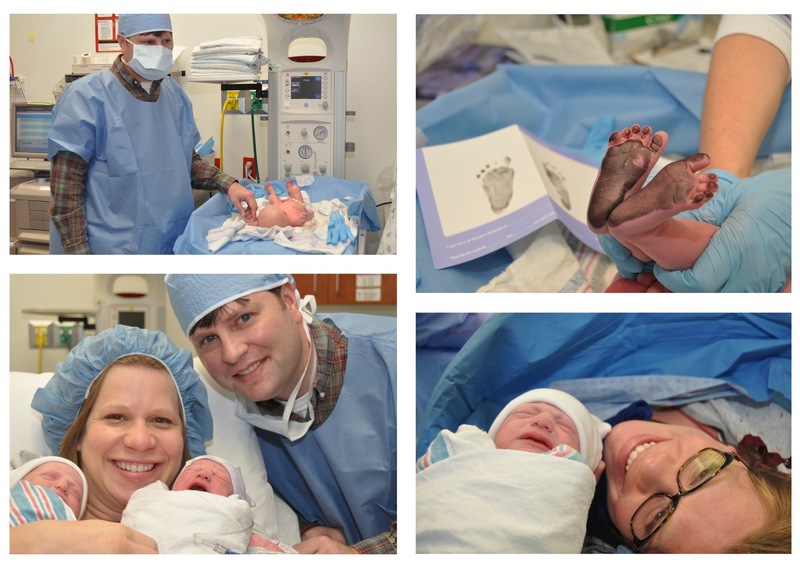 Edward was breech, so we scheduled a c-section. I asked if the date could be pushed out a few days from Dec 17 (37 weeks gestation) to be on my BFF’s birthday instead. I’m glad it worked out. The twins are lucky to share a birthday with “Aunt” Dawn on Dec 20! The twins’ birth was perfect. My c-section delivery was a snap! 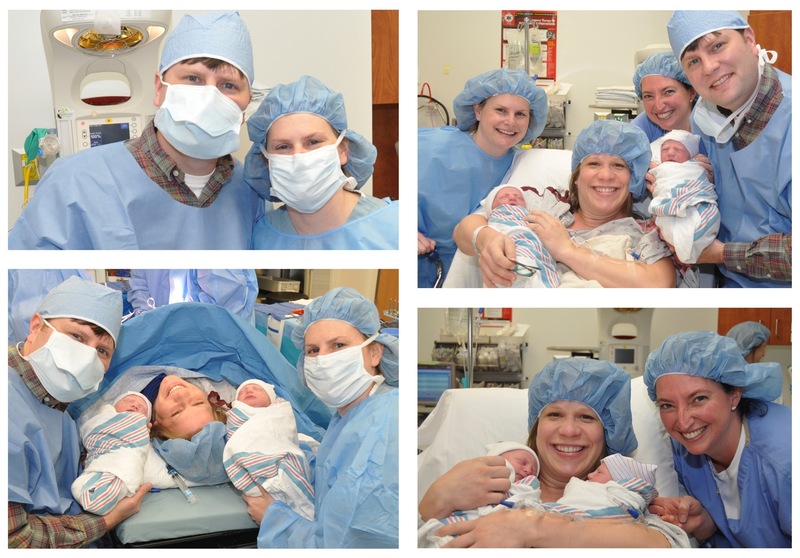 I loved having my high school/college friend provide my prenatal care and deliver the twins. 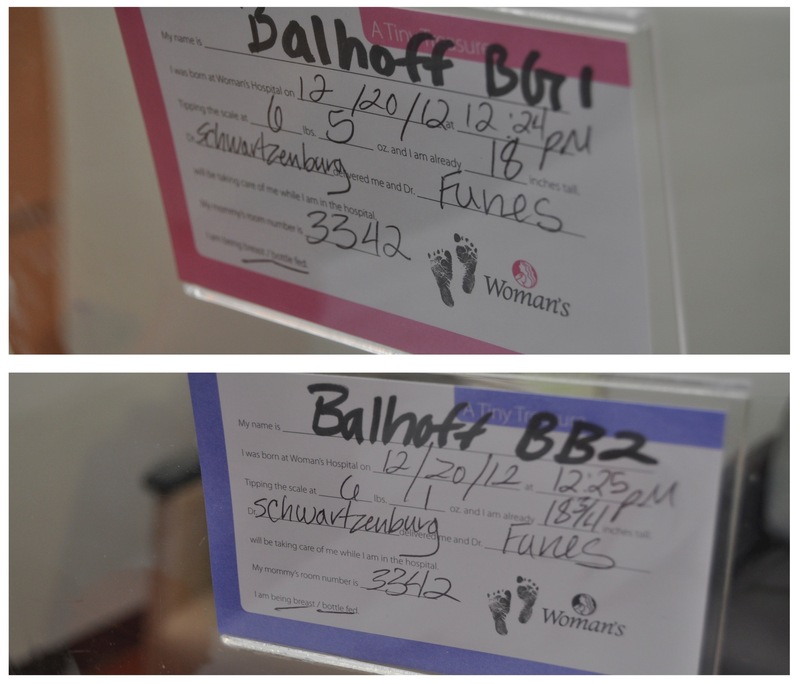 She delivered Claire at 12:24pm, and Edward immediately followed at 12:25pm. Just like that… I had two beautiful, healthy, round-headed babies. Many thanks to my wonderful doc! 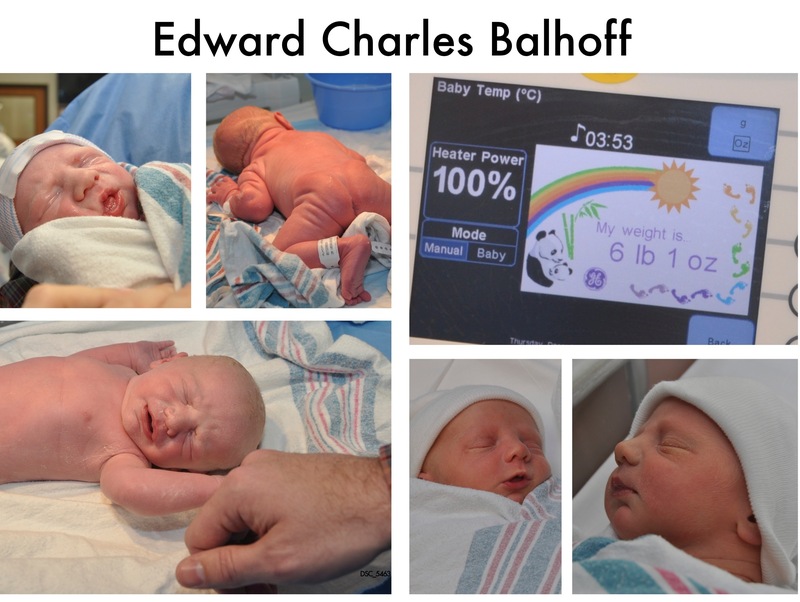 The twins were born at healthy birthweights of 6 pounds 5 ounces for Claire and 6 pounds 1 ounce for Edward. Both measured 18.75 inches. Throughout my pregnancy I was constantly told (almost daily) that I didn’t look big enough to be having twins. It’s obviously not true… That was a whole lot of baby to be toting around on my swollen feet! I feel fortunate that the babies didn’t require special medical attention at their birth. They never left my side. 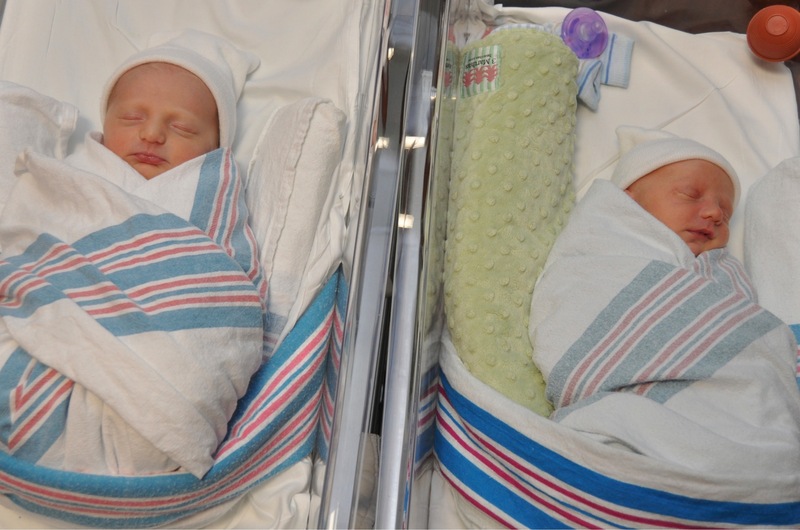 As soon as they were cleaned, dressed, and swaddled, I was holding my two sweet babies. I obsolutely love that these next 2 photos capture one of the most amazing hugs of my life. Jim and I were grateful to have his sister “Aunt Liz” in the operating room with us. 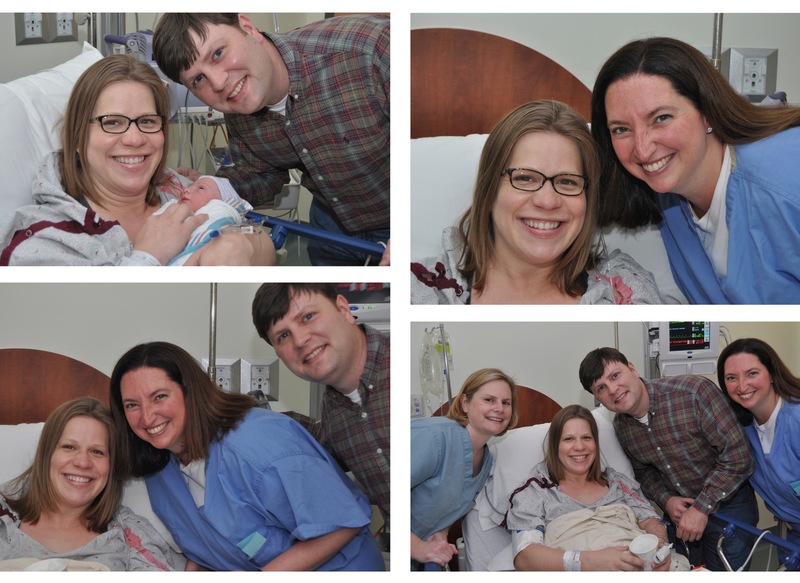 She’s an awesome neonatologist, so my OR team was pretty incredible. Here we are, celebrating the successful surgery in the post-op room: Jim, Dr. Liz, and Dr. Cheree with me. Soon I was allowed to receive a few family visitors. 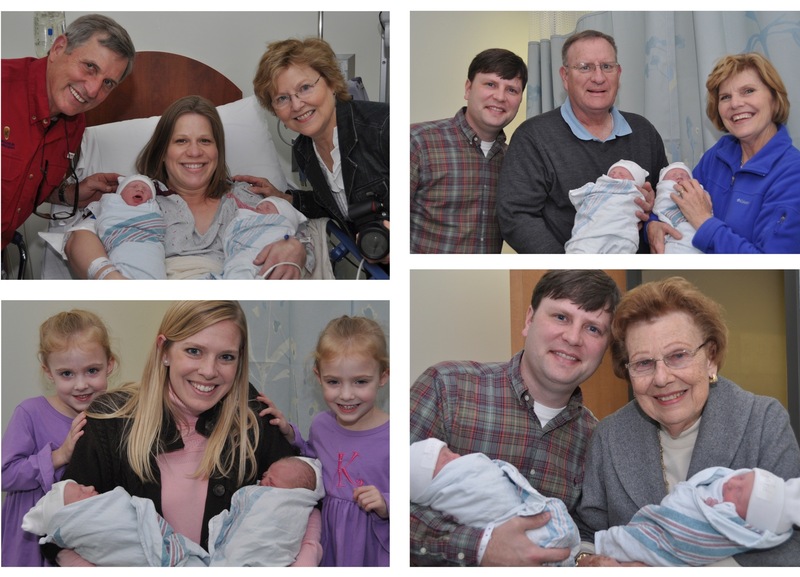 The grandparents, great-grandparents, aunts, uncles, and cousins were eager to meet the new additions to the family. I think the most excited visitor was Claire and Edward’s big brother who visited the next day. We spent four great nights in the hospital before taking the twins home just in time for Christmas. I’m grateful that the twins and I had an awesome doctor, a wonderful birth experience, and a pleasant hospital stay. Jim and I appreciate the enthusiastic welcome the twins received from our family. Being pregnant with twins originally came as a bit of a surprise, but now that they have arrived… I can’t imagine not being a twin mom. 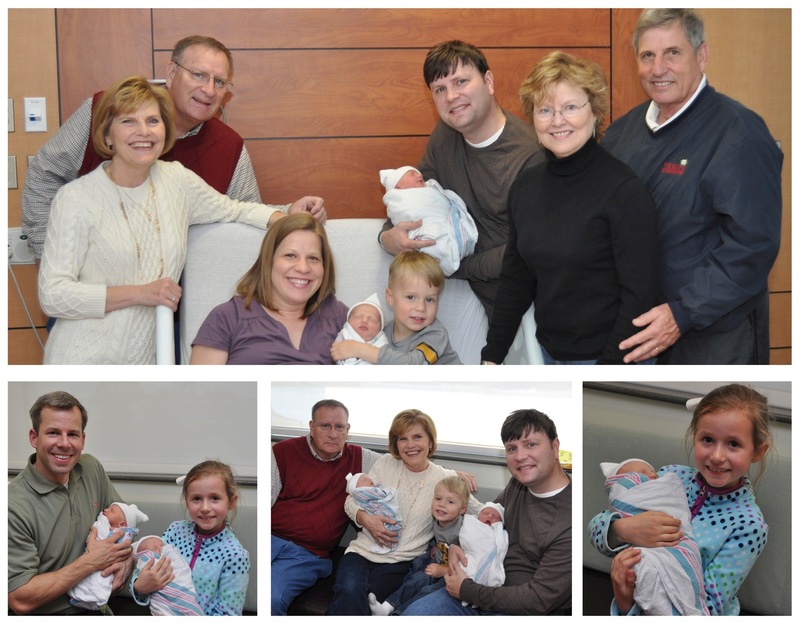 Welcome to the family, Claire Elizabeth and Edward Charles! 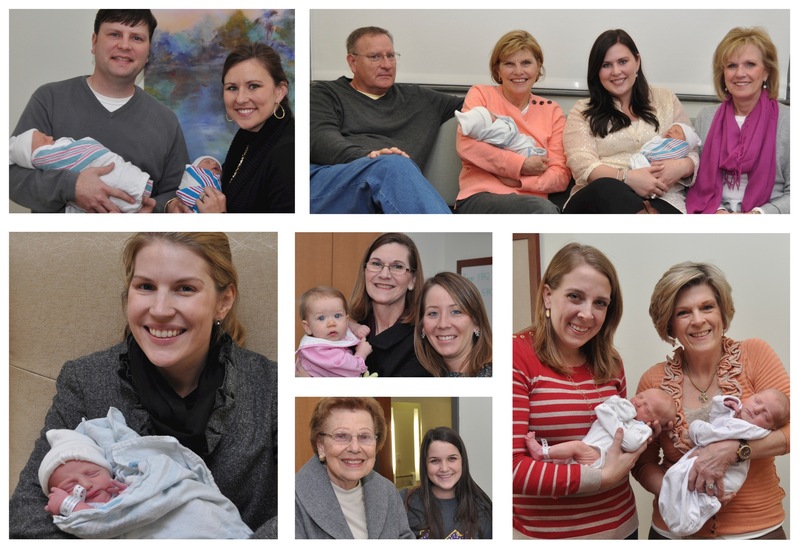 *See additional photos of the twins’ birth day and hospital stay at our photo site. 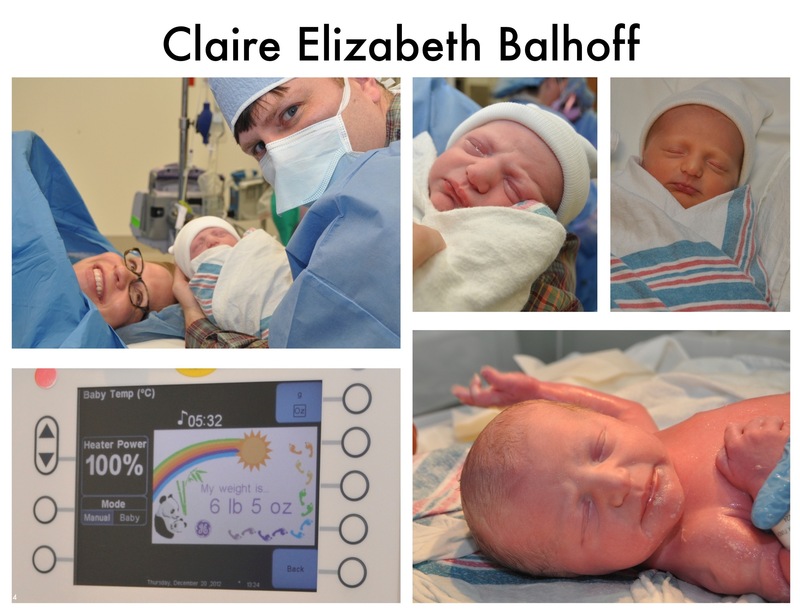 This entry was posted in family and tagged birth story, c-section, twins. Bookmark the permalink. Love this story!!! So happy your beautiful twins are here. Hope lil Patrick is enjoying his new brother and sister!